BOONVILLE, CA. (THECOUNT) Patricia Sanz Munoz, from Reading, England, has been identified as the woman killed in a rural Mendocino County freak accident around 3 p.m. Monday. 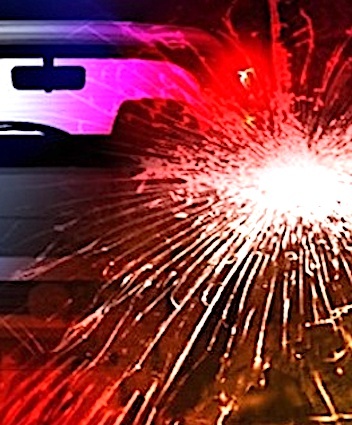 Munoz, 45, passed away after the vehicle she occupied, for an unknown reason, rolled off a steep incline and crashed in rural Boonville, according to a California Highway Patrol press release. A 12-year-old boy was also in the vehicle at the time of the incident. Both Munoz and the boy were ejected from the vehicle in the crash. Reports say, a male driver, later identified as, Chris Parsons, 45, also from Reading, England, was operating a 2018 Hyundai Santa Fe on State Route 128, near Boonville, when he exited the vehicle to assist another driver that had spilled a load of dirt on the roadway. Munoz and the boy reportedly remained in the vehicle while Parsons assisted the other driver, when for an unknown reason, the Santa Fe began to roll backward – jumped the shoulder and careened down a steep embankment – crashing below. Munoz was pronounced dead at the scene. The boy was transported to an area hospital where his condition was not immediately provided. “For reasons still under investigation, the vehicle began to travel backwards down the incline and traveled over the shoulder and down a steep embankment,” a CHP press release stated. The release did not state the relationship between the driver and the two passengers, though both the boy and Parsons share the same last name. Authorities noted drugs nor alcohol were a factor in the incident.